The Arctic Armor Mesh pool cover provides winter protection against leaves, debris, and algae. Most importantly, it keeps your kids safe from drowning. The mesh is strong enough to hold over 4,000lbs, providing peace of mind that your kids are safe even when out of sight. 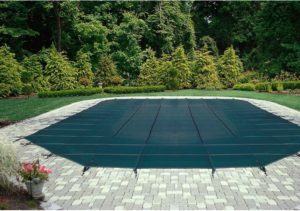 The pool cover is designed for in-ground pools measuring 20 by 40 feet. It is super easy to install and comes with all the hardware you need. Read on for our full review of the Arctic Armor Mesh safety cover. 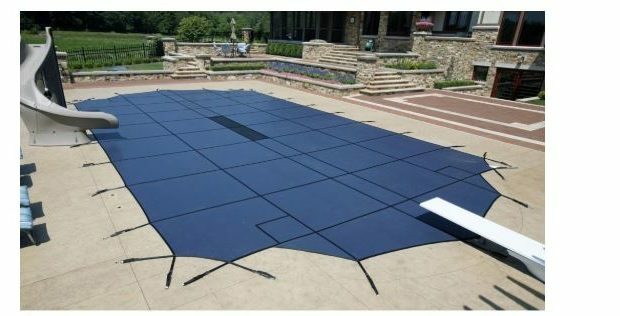 If this is not what you were looking for, see our reviews of the best pool covers for alternatives. The Arctic Armor pool cover easily fits large in-ground pools of up to 20 by 40 feet. The cover is rectangular, but you can use it in a pool of any shape as long as the pool isnât more than 40â long and 20â wide. To provide complete coverage, the cover has a 2-foot overhang on each side. So the actual cover dimensions are 22â by 42â. The Arctic Armor is not your ordinary winter cover. While it will cost you 2-3 times the price of a normal pool cover, it is much stronger. It is constructed from a two-ply polyethylene mesh panel. 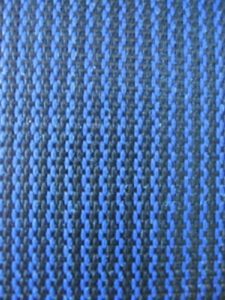 The mesh is weaved tightly to increase break strength. Multi-seamed stitching allows the mesh to withstand more weight and reduces the rate of wear and tear. To guarantee the quality and durability of the pool cover, the manufacturer provides a 12-year warranty. Though it doesnât look like it, the mesh cover is incredibly strong. The material used plus the tight weave and multi-seamed stitching allow the cover to withstand the weight of over 4,000 lbs. Iâm not saying you try it but your whole family can lie on the cover and it wonât budge. The robust construction provides drowning protection for kids and pets. Even when they are out of sight, you can enjoy peace of mind knowing they are safe. The mesh also functions as a normal winter cover. The high scrim mesh doesnât allow anything other than water through. It keeps twigs, leaves and other debris out of your pool. The cover also retards the growth of algae, ensuring your pool stays clear through the winter. When the swimming season arrives, pool cleanup is easier and faster. Even the mesh is easy to clean because rain passes right through the mesh rather than collecting on it. It takes around half an hour to an hour for two people to install the Arctic Armor pool cover. All the parts you need are provided including stainless steel springs, brass anchors, a tamping pin and of course the cover itself. You also get a storage bag to keep the mesh cover safe when not in use. All you need is a drill to make a hole on the deck for the anchors and a hammer to secure the anchor retainers into the holes. During winter, the brass anchors are raised slightly above the ground. You then attach the springs to the anchors. But when the pool is in use and the cover is no longer there, you can remove the collar and anchor, leaving only the retainers, which are set flush against the deck. There is no danger of tripping on them. You are looking for a winter pool cover that also provides drowning protection. You own a large in-ground swimming pool. 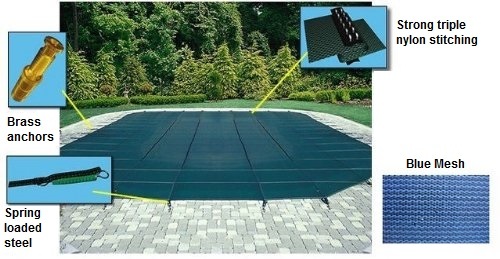 You want a pool cover that is easy to install and remove. You are not worried about kids or pets drowning in the pool. If you only need a cover for leaves and debris, the Arctic Armor is not ideal for you. You are looking for a budget winter pool cover. 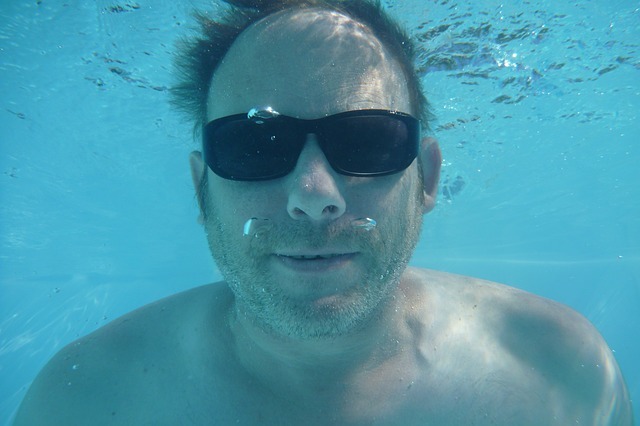 Roger Corbinetti I’ve owned a pool for over 20 years. During that time, I have owned and reviewed dozens of pool cleaners, especially robotic pool cleaners. I created RoboticPoolCleanersCompared to help other home owners leverage my experience to select the right pool cleaner, pool heater, pool cover and modern pool appliance for their needs & budget.